The Best Astrological Stress Relief Tips For Scorpio. Scorpio’s intensity can make you forget about your basic needs. When your horoscope informs you that there’s a stressful day ahead of you, remind yourself that your body and mind require attention and care. You tend to immerse too deeply into work forgetting about time and daily needs. Communicating with kind and creative people will help you reduce tension and feel at ease. Scorpios are marked by higher sensuality in comparison with other signs. Don’t forget that your extra sexuality can be a great help in the matter of stress relief. Find a suitable partner and enjoy your time together.  Can you confide in Scorpio? Set the tone for the whole day – ideas for Scorpio!